The declining bids for solar PV projects seems like a good sign for the sector, but let us hope that the oversights that happened in the case of solar thermal projects are not repeated. The lowest bid so far has been of ₹ 4.34 per unit, won by Fortum Finnsurya Energy, Finland-based Company in Rajasthan solar bids earlier this year. Other winners included Rising Sun Energy and Solairedirect (each with two projects with a bid of Rs 4.35 per unit) and Yarrow Infrastructure which quoted a tariff of Rs 4.36 per unit. This bid has been lauded as an achievement for the solar sector, especially for being able to reach tariffs comparable to thermal power generation. Attaining grid parity is very crucial for the sector since this means that now solar plants can be built at a faster rate since the stigma of being an expensive power is being slowly removed. However, this is not the case we see in the real world. Bankers are still apprehensive whether solar plants would be able to operate for the 25 years they claim with such low tariffs. Many of the projects that won with such lower bids have not been able to achieve financial closures. But the bankers’ apprehension in not unfounded. In a recent report published in the Rajasthan Patrika's Delhi Edition, it was reported that 86 solar plants are currently not operating in Rajasthan, which includes many concentrated solar power (CSP) projects as well. Mercom Capital Group, which reports on developments in the sector, raised concerns over the decline in tariffs back in January 2016 when the bids were announced. 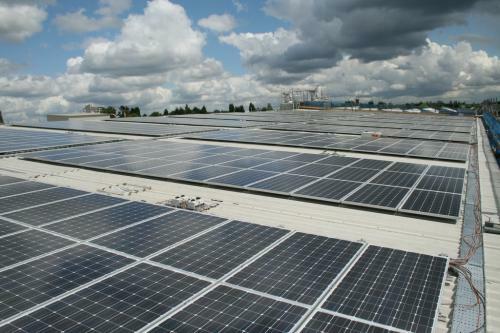 “Project costs include those of solar modules that take up half the investments. But the fall in solar module prices do not match the rate of decline in tariffs,” it told news agency Press Trust of India (PTI). Unfortunately, this is not the first time aggressive bidding has created issues in the solar market. During Jawaharlal Nehru National Solar Mission (JNNSM) phase-I bidding of CSP projects of 500 MW, the lowest bid received was ₹10.49 per unit against the Central Electricity Regulatory Commission (CERC) benchmark of ₹15.31 per unit, almost 32 per cent lower. All the bids were lower than the benchmark. The reverse bidding mechanism helped bring the cost down to such a level that India became one of the lowest in terms of cost per kilowatt-hour (kWh or unit) of generation. The fact is that four out of seven projects have not even started construction, five years after they won the bids because none of them managed to get finances. The bids made for winning the project made it financially unviable. The government had given these CSP projects a commissioning period of 28 months after signing of the power purchase agreement, and none of the projects were able to meet the deadline. Now the deadlines have gotten extended three times, without much resolve. The news report in Rajasthan Patrika claims that the two commissioned CSP projects are also not operational. However, when I spoke to the managers of the two plants in February 2016, they claimed smooth operations of both the plants—Godawari Green energy and Reliance Power (Rajasthan Sun Technique). In the haste to achieve grid parity, we have to make sure that solar PV projects are not repeating mistakes committed during the bidding of CSP projects. A case can also be made that since no penalties were levied on the developers of the CSP projects, the solar PV developers believe that there would be some scope of maneuvering of tariffs and deadlines once the bid is won.